New title by Otto Fishblanket! Hi - Otto Fishblanket here! I have a new kindle book out! 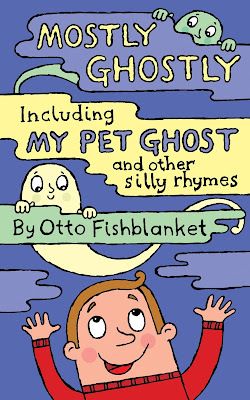 It is called Mostly Ghostly and it is a rhyming picture book about ghosts, particularly my pet ghost, Eric. A paperback version of it will be published shortly. Have a look at it on Amazon.com here!